According to reports from PCT 4, on April 9, 2019, while on patrol in the 11800 block of S. Benton Knoll Drive, deputies with Constable Mark Herman's Office were waived down in reference to a bicycle theft. The complainant advised that an unknown suspect entered his attached home garage and stole a bicycle and fled the scene. The complainant stated he gave chase on foot and the suspect then dropped the bike on the roadway. 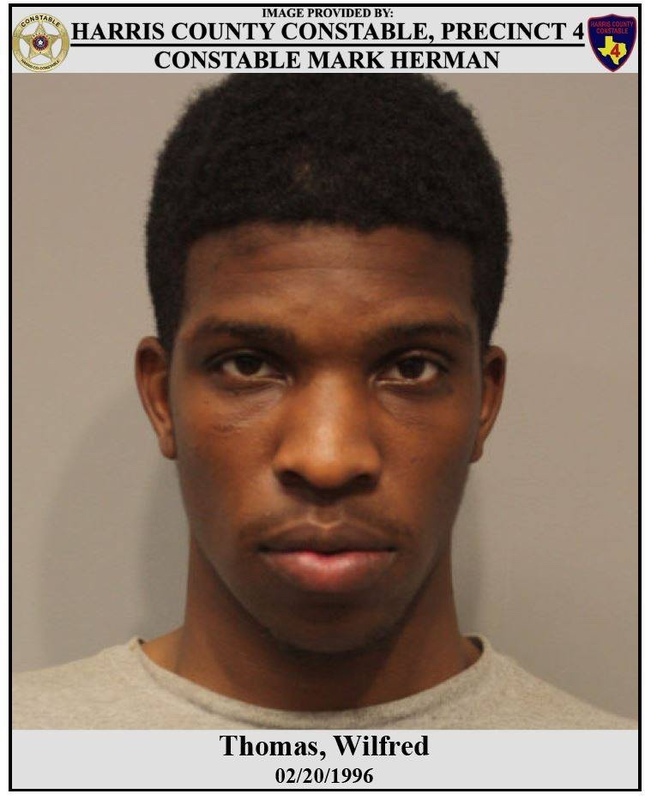 Constable deputies searched the area and located the suspect, Wilfred Thomas, who was then positively identified by the complainant.